The year 2019 is all about making an artistic statement; even in the bathroom. 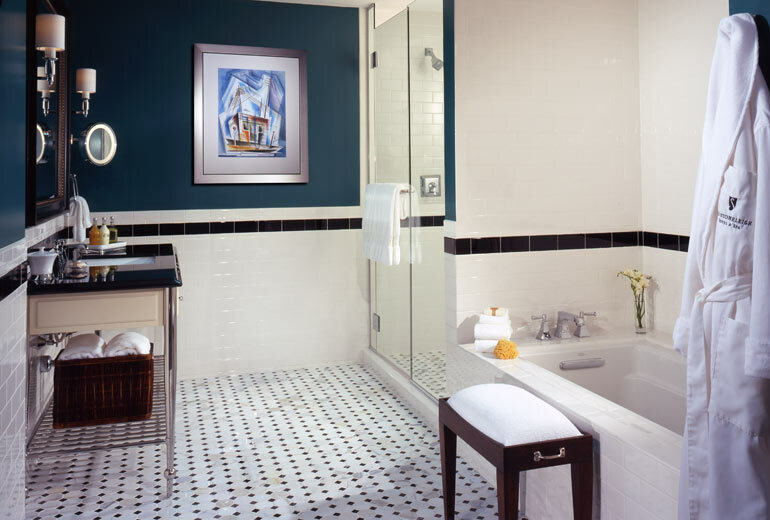 A sophisticated piece of fine art will provide your bathroom with a pretty focal point. After a long day nothing is better than treating yourself in a personal spa. Artwork gives this specific space in your place style. The beauty room is the perfect place to make it artful. Artwork elevates any space but in a spa because of your proximity and how often you are in the space these works of art will be influential on not only your days but also your nights. Powder rooms have always been a place to add high drama to a small space, but now oversized floral wall prints and pattern-on-pattern are feeling very of-the-moment, particularly in bold, bright colors. We’re seeing that people no longer see the bath as a utilitarian space and more as an experiential space. They’re looking for spa-like experiences as well as a kind of theatrical beauty for what used to be a very interior and private space.